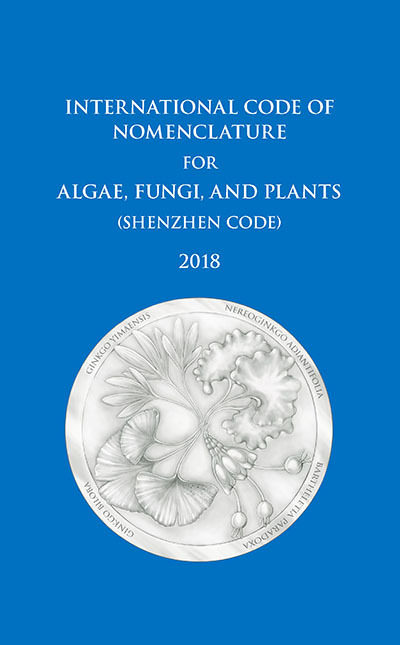 The International Code of Nomenclature for algae, fungi, and plants is the set of rules and recommendations that govern the scientific naming of all organisms traditionally treated as algae, fungi, or plants, whether fossil or non-fossil, including blue-green algae (Cyanobacteria), chytrids, oomycetes, slime moulds, and photosynthetic protists with their taxonomically related non-photosynthetic groups (but excluding Microsporidia). Before 2011 it was called the International Code of Botanical Nomenclature (ICBN). This edition of the Code embodies the decisions of the Nomenclature Section of the XIX International Botanical Congress (IBC), which took place in Shenzhen, China in July, 2017. This Shenzhen Code supersedes the Melbourne Code (McNeill & al. in Regnum Veg. 154. 2012), published after the XVIII IBC in Melbourne, Australia in 2011. The rules of the Shenzhen Code became effective immediately upon acceptance of the resolution at the closing plenary session of the XIX IBC on 29 July 2017, that the decisions and appointments of its Nomenclature Section be approved. The Shenzhen Code in its final form was published on 26 June 2018 (printed version). This electronic version was made available on 27 June 2018. A PDF version was made available to members of the International Association for Plant Taxonomy on 27 January 2019.